SAVE A LIFE Corporation, offers a specific medical training course for CPR, AED and First aid Instructor training. This course is taught by one of our medically experienced and professionally trained staff. 1. Complete the BLS Course and bring a copy of the card to class. 2. Materials can be purchased thru AHA or SAVE A LIFE. The manual or the PAM is required to complete the Essentials online course. 3. Complete the BLS Instructor Essentials Course 2-3 hours online. The AHA’s BLS Instructor Essentials Course is designed to prepare BLS instructor candidates to teach AHA BLS Provider and Heartsaver® Instructor-led and blended learning courses. This course is taught in a blended learning format. 4. Complete the Heartsaver Instructor Essentials Course is the self-directed, online portion of the Heartsaver Instructor Essentials Blended Learning Course. 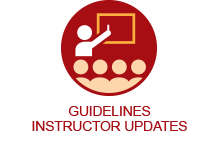 The course educates instructor candidates on how to adequately use AHA Instructor teaching materials and follow AHA Instructor and course policies. BLS Instructor and Heartsaver candidates must complete the online portion, followed by the hands-on session conducted by BLS Training Center Faculty. This course educates instructor candidates on how to adequately use AHA Instructor teaching materials, ensure that students meet learning objectives, offer student coaching skills, provide an objective skills performance evaluation, and follow AHA Instructor and course policies. The course covers the core and discipline-specific content required to teach AHA courses. When completed you will get a certificate of completion, to bring to the instructor course. Basic Life Support (BLS) or Heartsaver CPR Instructor course. 8 hours are in a classroom setting. At the end of this course, the instructor is able to teach the BLS course and all Heartsaver courses in CPR and First aid for the American Heart Association. Intended Audience: Anyone interested in teaching CPR and/or health care providers such as Physicians, Nurses, Paramedics, EMT’s, Medical or Nursing assistants, Police officers, and other health personnel. Materials: Each Course is required have a Instructor manual, student manual and DVD’s. Instructor’s Manual’s include an Instructor CD; more than 300 pages of 4-color lesson maps. All manuals are 8 ½” X 11”, loose-leaf, and 3-hole-punched. Written/Skills Exam: Required for course completion, a score of 84% or better on written test. Skill check off proficiency testing during the course. Course Completion Card Valid 2 years. Required to instruct 2 courses per year (4), to remain current. Course Monitoring: Must be completed with an AHA Instructor for the first class either BLS or Heartsaver, within 6 months. Monitoring form MUST be sent in to Affiliate Faculty when completed, so it can be sent in with ALL paperwork from class to designated Training Center. MONITORING IS INCLUDED IN COURSE FEE. SEE CALENDAR FOR MONITOR COURSE DATE. 1. Current in AHA Instructor course. 2. Proof of teaching 2 courses per year (4), for the last 2 years. 3. Current with an AHA Training Center. Basic Life Support and Heartsaver CPR Instructor Renewal course, with American Heart Association. 1. This is an 4-hour Instructor course in a classroom setting. 2. 2-3 hours Online Essentials Instructor program fulfilled online. A certificate of completion is required if not already completed in your initial course. At the end of this course, the instructor is able to teach the BLS course and all Heartsaver courses in CPR and First aid for the American Heart Association. Course Completion Card: Valid 2 years. Required to instruct 2 courses per year (4), to remain current. Course Monitoring: Must be completed with an AHA Instructor either BLS or Heartsaver course, within 6 months. Monitoring form MUST be sent in to Affiliate Faculty when completed, so it can be sent in with ALL paperwork from class to designated Training Center.